GENUINE product from BOOQ Authorised Dealer. 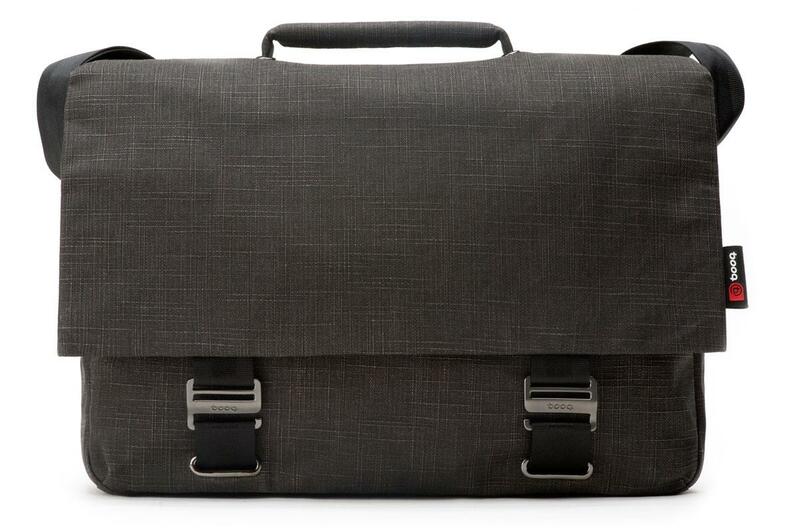 This elegant messenger-style laptop brief is purpose-built to protect a 13-inch MacBook Pro or MacBook Air (or a 13-inch PC laptop of similar dimensions), iPad, iPhone, all the essential accessories, as well as documents and personal items–in style. As a member of the Fibre Collection, its exterior fabric is made from an innovative natural fiber fabric that has been developed exclusively for the series. Waterproof and organically dyed, the unique properties of this material with its smooth yet rugged hand feel allowed the booq design team to achieve an extremely light and strong product with a timeless, luxuriously rugged elegance while conserving valuable resources. Inside, the Mamba courier 13 laptop brief incorporates a padded notebook compartment for your 13-inch MacBook into a large zippered main volume that is lined entirely with lightweight yet durable nylon fabrics (as opposed to low-quality polyester), and is fitted with pockets for iPad and smaller items. A zippered accessory storage pocket, perfectly dimensioned for iPad (even inside a cover or folio case), is located underneath this laptop bag's large flap, which is itself secured via two meticulously crafted metal hooks. Flat items like magazines fit inside the bag's large back pocket which comes with a concealed quick-access pocket sized for iPhone (inside a case). 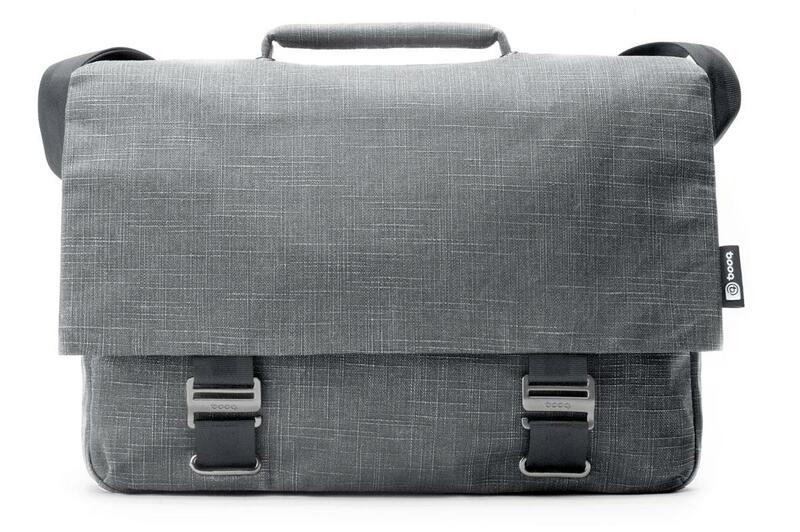 This 13-inch laptop bag is equipped with an extremely durable 50 mm (2 in) wide seatbelt nylon shoulder strap fitted with a (re)movable shoulder pad, and comes with a metal-framed booq Terralinq serial tag which may help reunite a lost and found Mamba courier 13 with its owner.